On December 9, C-Span's Washington Journal interviewed Janet Tavakoli, a Chicago-based structured finance analyst. She was in Washington to attend a conference sponsored by the Federal Housing Finance Administration. She talked about Fannie Mae, Freddie Mac, private label mortgage-backed securities, Wall Street fraud, and derivatives. The National Inflation Association has released another in its powerful video series warning of the dangers of hyperinflation from loose monetary policy by the Federal Reserve. Is it time to start hoarding? Or is this just fear-mongering? "Did You Hear About the Fed?" This ascerbic and hilarious cartoon by Malekenoms is done in a question and answer format between two bears who speak with computer-generated voices and broken English. The first bear starts off the process by asking the second bear, "Did you hear about the Fed?" and then proceeds to explain to the second bear why the Fed is engaging in quantitative easing. The policy name "quantitative easing" is described as a euphemism for printing "a ton of money." When the second bear asks the first bear, why not just calling it "the printing money," the first bear responds that the Fed calls in quantitative easing because printing money is seen as "the last refuge of a failed economic empire and banana republics, and the Fed doesn't want to admit this is their only idea." The bears then belittle the notion that there is deflation when prices are rising everywhere. The the first bear also lampoons the Fed's credibility and claims it has been wrong about everything and right about nothing. The bears also spoof Ben Bernanke as "the Ben Bernank." It blasts the New York Fed's relationship with Goldman Sachs and the fact "the William Dudley," head of the New York Fed, used to work at Goldman Sachs. It ridicules the Fed for going to Goldman Sachs to buy U.S. Treasuries at higher prices rather than going to the Treasury direct so that Goldman Sachs can make a lot of money on the deal. Prof. William Wheaton of the Massachusetts Institute of Technology, expects the housing market to come roaring back in the next few years. He gave his views today on CNBC's Squawk on the Street. The reason, he explains, is that household formation is creating demand that is far greater than the current rate of new home construction. Foreclosures and excess inventory are not so much of a problem because they are filling in the demand between new home construction and new household formation. The market is poised for a comeback even without the range of mortgage products that existed prior to August 2007, the professor says. He points out that in the past people were able to buy homes before the new mortgage products were available. The Federal Reserve has released its Flow of Funds report for the second quarter of 2010. 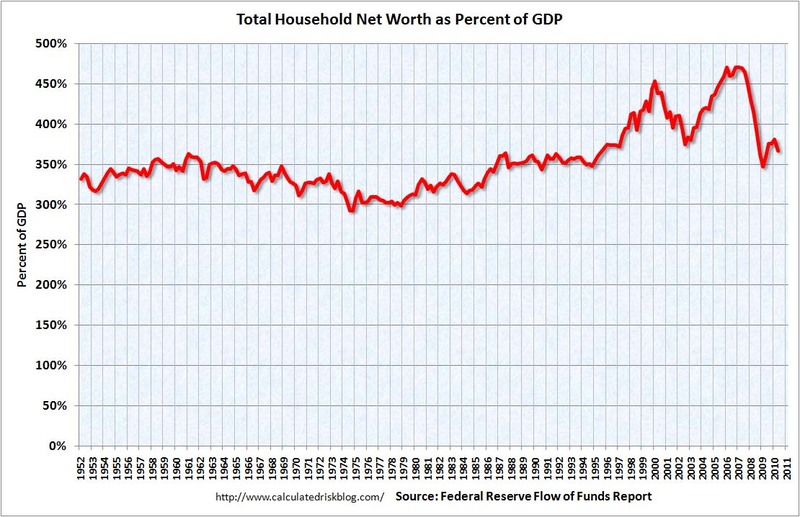 Household net worth declined $1.5 trillion to $53.5 trillion. 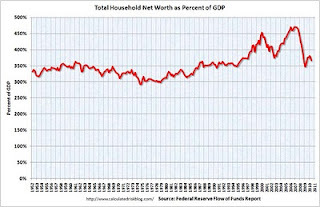 Household net worth in the second quarter of 2010 had risen $4.7 trillion from the trough in the first quarter of 2009, but still off $12.3 trillion from the peak in 2007. At the First Quarter 2009 trough, the loss in household wealth had declined $17 trillion from the 2007 peak. With home prices expected to be headed for a double dip, these trend lines may head back down again. In the chart above net worth of households and nonprofits is expressed as a percent of GDP. This includes real estate and financial assets (stocks, bonds, pension reserves, deposits, etc) net of liabilities (mostly mortgages). Home Depot CEO Bernie Marcus: Washington Sees Job Creators As "Monsters" and "Villains"
On September 17, Home Depot chairman and chief executive officer Bernie Marcus appeared on The Squawk Box on CNBC. He was interviewed by show host Joe Kernen. Marcus lambastes the "academics" who have positions of power in Washington (including President Obama) and their view of job creators as "monsters" and "villains." Marcus facetiously "apologized" for creating 320,000 jobs. Now you take some of the people the President surrounded himself with, now think about it a second, they’re all academics . . . most of them . . . I mean all of them, they come out of Harvard they come out of Yale. These guys are all on tenure. By the way they’re all on tenure. Tenure means they get paid whether they work or not, tenure means they are on insurance for life, tenure means they don’t ever have to worry about anything just because they were there for a number of years. America is not that way. America is not that way. And if the President got out of, you know, Washington, in his cloak as I talked about, and started moving around the peasants which is people like everybody else in the world except for Washington. 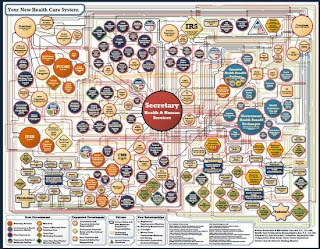 Washington has their own insurance plan, they got their own pensions, they don’t even abide by their own rules they everybody else lives by. In an interview by Larry Kudlow, Senator Judd Gregg (R-N.H.) explained why the Obama Administration and the Democratic Congress are not worried about the huge run-up in the deficit and rising national debt. In his September 9 program host Larry Kudlow pointed out that the Obama Administration has increased the national debt by more than all prior Presidents from George Washington through Ronald Raegan. When Senator Gregg suggested this was going to bankrupt the nation, Larry Kudlow disagreed. Senator Bob Corker (R-Tenn.) went to extraordinary lengths to reach across the aisle to forge a consensus financial regulatory reform bill. After making considerable progress in a cooperative effort at crafting a bill, Senator Corker's efforts were cast aside. Instead, Senator Chris Dodd (D-Conn.) went ahead with a purely partisan bill that, only with very minor compromises, obtained enough Republican support to pass. This is another legislative behemoth that will have enormous unintended consequences. Speaking on CNBC, Las Vegas hotel owner Steve Wynn excoriates the lack of common sense in Washington and blast politicans for insane spending, regulatory policies and legislative initiatives. He says Washington has created a terrible environment of uncertainty for business in America -- worse than in China, which is more stable. "The shocking unexpected government is in Washington," he says. "Everything is cuckoo and God knows what's coming next." In particular, he attacks FHA for backing $20 billion a month in subprime lending. He blasts Obamacare and says it will drive up costs and faults Washington for failing to do anything about frivolous lawsuits that drive up the cost of liability insurance for doctors. Subprime loan performance of mortgages held in private label residential mortgage-backed securities (RMBS) has finally improved for the first time after rising steadily for nearly four years. Delinquencies in RMBS vintages from 2005 to 2008, which peaked at 54.4 percent in January 2010, began to decline over the last three months and fell to 51.5 percent as of April 2010, according to Moody's Investors Service. "Subprime mortgage loan performance appears to have turned a corner over the past several months," writes Peter McNally, vice president and senior analyst at Moody's in the credit rating agency's Weekly Credit Outlook for June 14. McNally notes that other classes of RMBS, jumbo prime and Alt-A and home equity, have also shown improvement, "though somewhat less pronounced." McNally is crediting the Home Affordable Modification Program (HAMP) as "one contributor" to the improved loan performance for subprime mortgages underlying subprime RMBS. "As HAMP ramped up in 2009, the number of seriously delinquent loans increased because loans that would otherwise have been foreclosed on and liquidated, instead waited for their placement into trial modifications," McNally writes. The Moody's analyst notes that the number of active permanent modifications has more than doubled, rising from 117,301 in January to 299,092 in April. "Each permanently modified loan improves the aggregate delinquency rate because upon modification the loan's stauts changes from delinquent to current," explained McNally. Moody's reports that loan-level analysis of 641 subprime RMBS transactions issued in 2005 to 2008 shows that fewer loans have moved into delinquent status while more have moved from delinquent to current status. Moody's analysis found that 24 percent of borrowers that were 30 days delinquent in February were current in March. By contrast, only about 15 percent of borrowers in a given month became current on their loans 30 days later during most of 2009. McNally predicts that HAMP 2.0, which focuses on principal forgiveness for homeowners with underwater mortgages, may further reduce delinquency rates. Despite these improvements, not all is rosy. Moody's currently expects that 50 percent to 70 percent of permanent modifications will eventually re-default. To the extent HAMP 2.0 can implement principal reductions, the re-defaults can be reduced, McNally concludes. The report, written by Kim Kowalewski and Wendy Kiska of CBO's Macroeconomic Anlaysis Division, comes up with what most willl surely think is a low ball estimate of the subsidy cost of the extraordinary actions during the financial crisis of 2007 and 2008. From July 2007 to the end of 2008, the Fed's balance sheet grew from $790 billion to $2.275 trillion. Of that total, loans and other types of support extended to financial institution made up $1.686 trillion. By the end of 2009, direct loans and other support had fallen to $280 billion, but the Fed held just over $1 trillion in mortgage-related securities (which continued to rise through March 2010 to $1.25 trillion). The report notes that there was also a big change in the composition of the Fed's liabilities. Before the crisis, the biggest liability was $814 billion in currency in circulation (as of July 2007). By the end of 2009, the biggest liability was the $1.022 trillion in bank reserves held by the Fed. At the end of July 2007, by contrast, the Fed held a mere $6 billion in bank reserves. "In effect, the Federal Reserve financed its activities during the crisis primarily by creating bank reserves rather than by issuing more curency or increasing its other liabilities," the report concludes. Banks moved their reserves to the Fed after the Fed was authorized to pay interest on those reserves beginning October 1, 2008, due to the passage by Congress of the Emergency Economic Stabilization Act of 2008. Of course, all these funds placed in reserve at the Fed meant they were not available for lending to the broader economy. The report attempts to estimate the economic costs of the Fed's actions to stabilize the financial markets. The authors use an approach they call "fair value" to estimate the value of the subsidies, which they admit often corresponds to the market value. "It is the price that would be received by selling an asset in an orderly transaction between market participants on a designated measurement date. "Subsidies etimated on a fair value basis provide a more comprehensive measure of cost than do estimates made on a cash basis: They take into account the discounted value of all future cash flows associated with a credit obligation, and they include the cost of bearing the risk," the report states. However, there is a caveat: OMB uses what it calls "a conceptually similar subsidy measure, as specified by the Emergency Economic Stabilization Act of 2008" to estimate the value of the TARP, the Troubled Asset Relief Program. CBO estimates a $21 billion fair-value subsidy was conferred by the Federal Reserve on the financial system with all its activities. Only $21 billion? How did we get to a number that low? For starters, the subsidy cost estimate incorporates the fact that most of the loans forwarded have been paid back, thus presumably reducing the value of the cost subsidy. Of the $21 billion total, $13 billion comes from the Term Asset-Backed Securities Loan Facility (TALF). This seems tiny compared to the $1.25 trillion in exposure to mortgage securities that is still in place. What about other subsidy costs? Whout the Fed's intervention, Goldman Sachs would no longer exist in its present form. How does one calculate the fair value cost of that subsidy? Morgan Stanley would conceivably no longer exist in its present form. How does one compute the fair value cost of that subsidy? For the Fed, in both instances, it's zero. The CBO estimates zero fair market subsidy cost for the Primary Dealer Credit Facility and the Term Securities Lending Facility (TSLF) that provide primary dealers with access to short-term liquidity. That's the facility that kept Goldman Sachs and Morgan Stanley from going down -- not to forget the subsidy from the AIG bailout that went via the back door to Goldman Sachs and other investment banks. What about all the losses that may be forthcoming from AIG? (CBO estimates the present fair value subsidy cost is only $2 billion) What about the fair value cost to Citigroup of the Fed's subsidies? 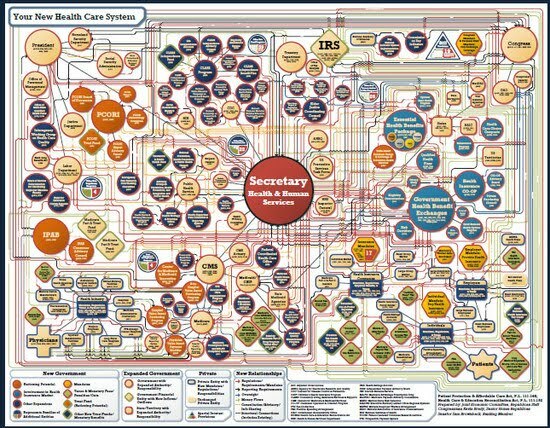 (CBO estimates it's only $2 billion) What about Bank of America ($1 billion)? The estimates for AIG seems beyond rosy. And Citigroup is still just a step above being a penny stock ($3.79 as of June 3), even with the subsidy. What is the fair value subsidy cost to the Fed of salvaging Citigroup from bankruptcy and ruin? "It bears emphasizing that CBO's fair-value estimates address the costs but not the benefits of the Federal Reserve's actions. 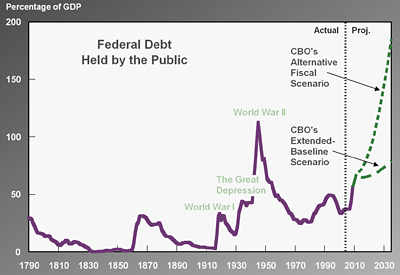 In CBO's judgment, if the Federal Reserve had not strategically provided credit and enhanced liquidity, the financial crisis probably would have been deeper and more protacted and the damages to the rest of the economy more severe." Setting aside the value of the broad economic benefit, however, surely the CBO estimate does not capture the full fair value cost of the subsidy. What's missing from the estimate is any sense of "fair value." Maybe what we need is a new definition of fair value subsidy cost. Or, maybe what we need is a measure of the fair value benefit of each subsidy, focused on its impact on the intended financial recipients of each benefit and not considering the broader economic benefit. From a common sense view, that's the real value of the Fed subsidy. Surely that would be in the hundreds of billions, at minimum. The video, which features the views of Gerald Celente of Trends Research Institute, warns of a coming era of hyperinflation and the collapse of the dollar if nothing is done to turn around America and return the economy to free market principles and the government to Constitutional principles. Celente predicted the market crash of 2008. Among other things, the video warns about the likelihood of a Comex default on silver based on the possibility that many commodity traders, like J.P. Morgan Chase, are manipulating silver and selling more silver than actually exists presumably in an effort to drive down the price. A Comex default would drive up precious metals prices dramatically. The video also catalogues dramatic increases in food prices already under way. Gerald Celente warns of food riots and tax riots as prices rise so high many cannot afford food and energy. The video also raises questions about whether or not the full amount of the gold reserve still exists in Ft. Knox and calls for an annual audit, noting further that even if the full amount of the gold reserve remains in Ft. Knox, it would only be about worth about $300 billion or so. The video argues that the Fed engages in price-fixing by setting interest rates and has prevented the functioning of the free market. By competing inflation artificially low, the Fed distorts economic forces. Interest rates are likely to soon rise to 5 percent to control inflation and, as a result, interest payments on U.S. debt will rise to $500 billion a year, the video forecasts. The dire picture the video paints of the future need not come true. Gerald Celente argues that if 20 percent of Americans buy better quality goods made in America and not cheap goods made overseas and if America becomes better educated on the economy, Americas can begin the second American revolution and restore the Amercian economy to a better balance. Viewers are invited to sign up for a newsletter from the National Inflation Association and are called on to know and support the U.S. constitution as the "last line of defense." Jim Rickards on CNBC: "Goldman Can Create Shorts Faster Than Europe Can Print Money"
Market observers have been quick to agree that Europe can not print its way out of its crisis, in spite of the $1 trillion emergency rescue package announced Monday. The best quote expressing this view comes Jim Rickards, senior managing director for market intelligence at Omnis, Inc., a scientific consulting firm in McLean, Virginia, from his appearance on CNBC. "Look at what Soros did to the Bank of England in 1992. He went after them, they had a finite amount of dollars. He was selling sterling and taking the dollars, and they were buying the sterling and selling the dollars to defend the peg," Ricards said. "All he had to do was sell more than they had and he wins. But he needed real money to do that. You either had to have cash, which he did, or bank lines of credit." "Today, you can break a country. You don't need money. You just need synthetic euroshorts and CDS. You have a trillion dollar bailout. Butm Goldman can create 10 trillion of euroshorts. So, it just dominates whatever governments can do. So, basically Goldman can create shorts faster than Europe can print money. You say the market wins, but it's not really a market, it's back to this casino thing, and that's the problm." With the price of the bailout rising and momentum for reform in Washington slowing, Fannie Mae and Freddie Mac remain vital to the functioning of the mortgage and housing markets. A framework for a new system is beginning to take shape, at the same time that analysts are looking to fully and adequately address flaws in the current system. A giant question mark hangs over the mortgage finance industry. What is the future of Fannie Mae and Freddie Mac? That is part of a larger question. What is the future of mortgage finance? The two pillars of the mortgage industry that own or guarantee payment on $5 trillion in U.S. mortgages and/or mortgage-backed securities (MBS) failed dramatically at the height of the Panic of 2008 and were placed into conservatorship by the Federal Housing Finance Agency (FHFA). The significance of the failure of the two government-sponsored enterprises (GSEs) has been difficult to fully capture; but however you describe it, it is epic in scope. The Congressional Budget Office (CBO) has projected that the bailout of Fannie and Freddie added $291 billion to federal outlays in fiscal year 2009 (October 2008-September 2009). CBO predicts another $99 billion in outlays from 2010 to 2019, for a total loss of $380 billion--by far the largest federal rescue ever. It’s also one for the history books. “It was the biggest failure of housing policy on the planet and throughout all of history,” says Alex Pollock, resident fellow at the American Enterprise Institute (AEI), Washington, D.C. The GSE failures dwarf the next largest spectacular failure, the savings-and-loan (S&L) crisis of the early 1990s, where only $1 trillion in assets were on the line, he says. This year was supposed to be the final blow to the housing market. 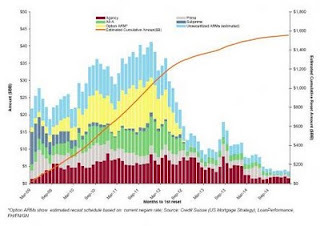 A wave of resets of Option ARMs, Interest Only (IOs) mortgages and plain-old adjustable-rate (ARM) mortgages were supposed to lead to a surge in foreclosures, pushing down the weak housing sector as it was showing some signs of stability. New data, however, suggest that is unlikely to happen. For one thing, people been refinancing and modifying their home loans ahead of the resets to avoid rising mortgage payments at the time of the reset. Further, many mortgages on homes that were supposed to reset this year have already gone into foreclosure. Due to these trends, the number of outstanding Option ARMs -- the mortgage that allows for negative amortization -- have fallen from a peak of 1.05 million active loans in March 2006 to 580,000 loans outstanding at the end of 2009, according to First American CoreLogic. So, maybe the reset threat has been cut down to size. The annual Retirement Confidence Survey released today finds that while the state of American confidence about retirement is stabilizing, more ground has been lost in prepration for retirement since the survey from 2009. The survey is jointly sponsored by the Employee Benefit Research Institute (EBRI) and Mathew Greenwald and Associates, a market research firm. The Retirement Confidence Survey (RCS) also finds that a growing number of American workers are also planning to delay retirement—which has negative implications for the U.S. job market, where unemployment is high and layoffs continue to grow. As older workers stay at their jobs longer, the RCS results suggest that fewer existing jobs are likely to open up. And Americans continue to lack confidence in institutions. They are most likely to express confidence in private employers and least likely to express confidence in the federal government. Both workers and retirees expressing low levels of confidence in banks and insurance companies. "Americans' attitudes toward retirement have clearly tracked the economy the last couple of years, and that seems to be the case in 2010," said Jack VanDerhei, EBRI research director and co-author of the survey. "Unfortunately, while their attitudes are stabilizing, their preparation for retirement is not. A distressing number of people have no savings at all." •Stabilizing confidence: The percentage of workers very confident about having enough money for a comfortable retirement remains steady at 16 percent, which is statistically equivalent to the 20- year low of 13 percent measured in 2009. Retiree confidence about having a financially secure retirement has also stabilized, with 19 percent saying now they are very confident (statistically equivalent to the 20 percent measured in 2009). •Basic expenses: Worker confidence about paying for basic expenses in retirement has rebounded slightly, with 29 percent now saying they are very confident about having enough money to pay for basic expenses during retirement (up from 25 percent in 2009, but still down from 34 percent in 2008). The percentage of retirees indicating they are very confident about paying for basic expenses has stayed level at 33 percent (statistically equivalent to the 34 percent observed in 2009). •Financial aspects of retirement: The percentages of workers very confident about other financial aspects of retirement have held steady at 12 percent for medical expenses, 10 percent for long-term care expenses, and 21 percent for doing a good job of preparing for retirement. However, the percentages not confident continue to creep upward, from 44 percent in 2009 to 51 percent in 2010 for medical expenses, from 56 percent to 61 percent for long-term care expenses, and from 30 per- cent to 35 percent for doing a good job of preparing for retirement. •Fewer are saving: Fewer workers report that they and/or their spouse have saved for retirement (69 percent, down from 75 percent in 2009 but statistically equivalent to 72 percent in 2008). Moreover, fewer workers say that they and/or their spouse are currently saving for retirement (60 percent, down from 65 percent in 2009 but statistically equivalent to percentages measured in other years). •Ranks of those with no savings are growing: An increased percentage of workers report they have virtually no savings and investments. Among RCS workers providing this type of information, 27 percent say they have less than $1,000 in savings (up from 20 percent in 2009). In total, more than half of workers (54 percent) report that the total value of their household's savings and investments, excluding the value of their primary home and any defined benefit plans, is less than $25,000. •Workers postponing retirement: One-quarter of workers (24 percent) report they have postponed their planned retirement age in the past year. Among the reasons cited for delaying retirement are the poor economy (29 percent of those postponing retirement), a change in their employment situation (22 percent), inadequate finances (16 percent), and the need to make up for losses in the stock market (12 percent). •Later retirement expected: Although the age at which workers report they expect to retire shows little change from 2009, a longer-term look finds significant change. In particular, the percentage of workers who expect to retire after age 65 has increased over time, from 11 percent in 1991 to 14 percent in 1995, 19 percent in 2000, 24 percent in 2005, and 33 percent in 2010. •Institutional confidence: Americans continue to lack confidence in institutions. They are most likely to express confidence in private employers (23 percent of workers and 27 percent of retirees very confident) and least likely to feel confidence in the federal government (11 percent of workers and 8 percent of retirees). Just 19 percent of workers and 22 percent of retirees report they are very confident about banks, while 12 percent of workers and 13 percent of retirees say they are very confident about insurance companies. Moreover, the percentages of retirees somewhat confident about banks (45 percent, down from 51 percent in 2009), insurance companies (42 percent, down from 56 percent), and the federal government (30 percent, down from 45 percent) are declining. •Clueless about savings goals: Many workers continue to be unaware of how much they need to save for retirement. Less than half of workers (46 percent) report they and/or their spouse have tried to calculate how much money they will need to have saved by the time they retire so that they can live comfortably in retirement. •Some reality testing on savings needs: The savings goals cited by workers who have done a retirement needs calculation have increased over time. In the 2000 RCS, 31 percent said they needed to accumulate at least $500,000 for retirement. This percentage gradually increased to 43 percent in 2005 and 54 percent in 2010. •Investing confidence ticks up: Those who have saved for retirement have recovered some confidence in their ability to invest their savings wisely. Thirty-two percent of workers indicate they are very confident (up from 24 percent in 2009) and another 54 percent are somewhat confident. Retirees who have saved for retirement show a similar rebound in confidence that they are investing their savings wisely, with 82 percent saying they are very or somewhat confident (up from 70 percent in 2009). •Sources of retirement income: Over time, the RCS has observed changes in workers' expected sources of retirement income. In particular: fewer workers are expecting to receive retirement income from Social Security (77 percent, down from 88 percent in 1991) and defined benefit plans (56 percent, down from 62 percent in 2005). However, more workers report they will rely on employer-sponsored retirement savings plans (75 percent in 2010, up from 69 percent in 2005) and employment income (77 percent, up from 70 percent in 2005). •Guaranteed income products: Few workers report they are likely to purchase a financial product or select a retirement plan option that pays them guaranteed income each month for the rest of their life. Only 11 percent indicate they are very likely to do so, while 35 percent say they are somewhat likely. Only 14 percent of retirees report they purchased a guaranteed-income product or selected a guaranteed-income option from a retirement plan. These findings are part of the 20th annual Retirement Confidence Survey (RCS), a survey that gauges the views and attitudes of working-age and retired Americans regarding retirement, their preparations for retirement, their confidence with regard to various aspects of retirement, and related issues. The survey was conducted in January 2010 through 20-minute telephone interviews with 1,153 individuals (902 workers and 251 retirees) age 25 and older in the United States. Random digit dialing was used to obtain a representative cross section of the U.S. population. To further increase representation, a cell phone supplement was added to the sample. In theory, the weighted sample of 1,153 yields a statistical precision of plus or minus 3 percentage points (with 95 percent certainty) of what the results would be if all Americans age 25 and older were surveyed with complete accuracy. There are other possible sources of error in all surveys, however, that may be more serious than theoretical calculations of sampling error. These include refusals to be interviewed and other forms of nonresponse, the effects of question wording and question order, and screening. While attempts are made to minimize these factors, it is impossible to quantify the errors that may result from them. Will home sales fall off a cliff once the latest version of the homebuyer tax credit expires? Experts vary on the precise impact of the credit, and on what will happen when it ends. But most agree the credit created a big wave of sales pulled forward in time to when the housing market really needed a boost. The homebuyer tax credit--all three versions adopted since its first effective date of April 1, 2008--is widely believed to have boosted overall home sales at a time when the housing market was in a deep slump. At this point, opinions vary on the extent of the boost, while early data support the view that the credit has had a positive impact. But the big question that remains, is how much of future sales were pulled forward in time, leaving the period after the credits expire badly starved for demand. "Tax credits like this are designed to essentially pull demand forward," explains Jay Brinkmann, chief economist with the Mortgage Bankers Association (MBA). "So, I don't think anyone thinks that it creates new potential homebuyers out of thin air." The tax credit is intended to influence people who were prepared to buy next year or the year after, and induce them to buy the home earlier in order to receive the benefit of the credit, according to Brinkmann. One of its goals is to reduce the excess inventory of homes on the market and provide some price stabilization "with the realization that it is a short-term event," he says. Neil Barofsky, in his 224-page quarterly report to Congress as the Special Inspector General for TARP, argues that the extraordinary efforts taken to rescue banks in the 2008 financial meltdown, have inadvertently created a situation where a future crisis will be even worse. bonus season demonstrates that although there have been some improvements in the form that bonus compensation takes for some executives, there has been little fundamental change in the excessive compensation culture on Wall Street. Stated another way, even if TARP saved our financial system from driving off a cliff back in 2008, absent meaningful reform, we are still driving on the same winding mountain road, but this time in a faster car. AIG in a filing with the Securities and Exchage Commission has finally released a detailed list of the derivatives contracts covered by bailout funds provided in the fall of 2008 to AIG by the federal governement. The payouts went through AIG to holders of credift default swaps against underlying Collateralized Debt Obligations (CDOs) worth $62 billion. American International Group, Inc. (AIG) released Friday a schedule of Collaterized Debt Obligation (CDO's) that were made public two days earlier by a release of the same information by Rep. Darrell Issa (R-CA). The list includes all the derivatives contracts in a federal bailout of AIG to make whole $62 billion in CDOs at big Wall Street firms and large banks around the globe who had purchased Credit Default Swaps from AIG as insurance against the CDO's. Many of the CDO's were loaded with mortgage-backed securities written on pools of mostly subprime loans. Under an agreement brokered by the New York Fed between AIG and the counterparties on Oct. 31, 2008, the counterparites agreed to terminate the derivatives, which were then sold to a new entity set up by the New York Fed and titled Maiden Lane III LLC. The counterparties retained the collateral they had required AIG to post with them against the CDO's covered by the credit default swaps. Maiden Lane III received equity and loans from the New York Fed to purchase the underlying CDO's at a discounted value, spelled out in Schedule A's five pages listing of each transaction. In turn, Maiden Lane III entered into a Shortfall Agreement with AIG, whereby AIG would pay any shortfall on the CDO's. Holders of the CDO's were made whole at 100 percent from bailout funds from the federal government, an arrangement that has become controversial and was the focus of hearings before the House Oversight and Government Reform Committee where Treasury Secretary Timothy Geitner was grilled at length about it. Due to the recent public disclosure of the full contents of Schedule A to the Shortfall Agreement, dated as of November 25, 2008, and as amended as of December 18, 2008, between Maiden Lane III LLC and AIG Financial Products Corp., American International Group, Inc. is filing this Amendment to Form 8-K in order to file an unredacted version of Schedule A. Pursuant to an SEC order granting confidential treatment, the information previously redacted from Schedule A qualified as confidential commercial or financial information under the Freedom of Information Act. In a story titled "Paperwork Woes Plague Mortgage Plan," in the weekend (January 16-17, 2010) edition of the Wall Street Journal, the accompanying chart appears. It is based on data provided by the Treasury Department. The chart is intended to capture the extent to which banks have move to modify loans that are eligible for loan modifications under the Obama Administration's loan modification program, which subsidizes lower interest rates on existing loans eligible for the program. From a quick look at the chart, it would appear that the lenders with the fewest number of loans eligible for the program have made the most permanent modifications. Permanent modifications occur after a trial period when homeowners who qualify for the program make regular payments on time for their new modified loans. For example, GMAC Mortgage has the highest rate of permanent modifications on the fewest number of eligible loans. Bank of America has one of the lower rates of permanent modifications on the highest number of loans. Wells Fargo Bank has made more progress than J.P.Morgan Chase Bank. CitiMortgage lags even further behind. News anchor Erin Burnett's throw-away line that the Fed had purchased 80% of new Treasuries goes unchallenged in this discussion on January 8. I'm not sure on what basis that claim is made. Can anyone explain? The Fed's target for Treasury purchases was $200 billion. Treasury issues are far, far higher than that. In emails from the New York Fed obtained by California Republican Darrell Issa's office, the New York Fed told AIG not to disclose the payments AIG was making to counterparties when the Fed was bailing out AIG. Officials from the New York Fed in emails in December 2008 pressured AIG not to disclose how much was paid to counterparties in the federal government bailout of AIG earlier that year. Normally, such information would be disclosed in an 8-K filing by AIG. The emails were obtain by Representative Darrell Issa, California Republican, and released to the press yesterday. Under a bailout deal overseen by then New York Fed Chairman Timothy Geithner, the government agreed to provide 100 cents on the dollar for credit default swaps that were worth considerably less. Through the bailout, full payment on the notional value of the credit default swaps were made by AIG to Goldman Sachs, Societe Generale and other counterparties. Further, Goldman Sachs played a starring role in the entire bailout. Many many of the bailed out positions made by AIG's 100 percent reimbursement, both at Goldman and other counterparities, were written against derivatives underwritten by Goldman Sachs.